We know a lot of hard work goes into creating your ebook. You’ve done the research. You’ve done the writing. You’ve done the editing. The end product is something you’re rightfully proud of, and you want to make sure it gets treated with the respect it deserves. One way to do that is having as many people read your ebook as possible. Depending on your strategy that can take as much effort as creating the ebook itself, but it doesn’t have to. 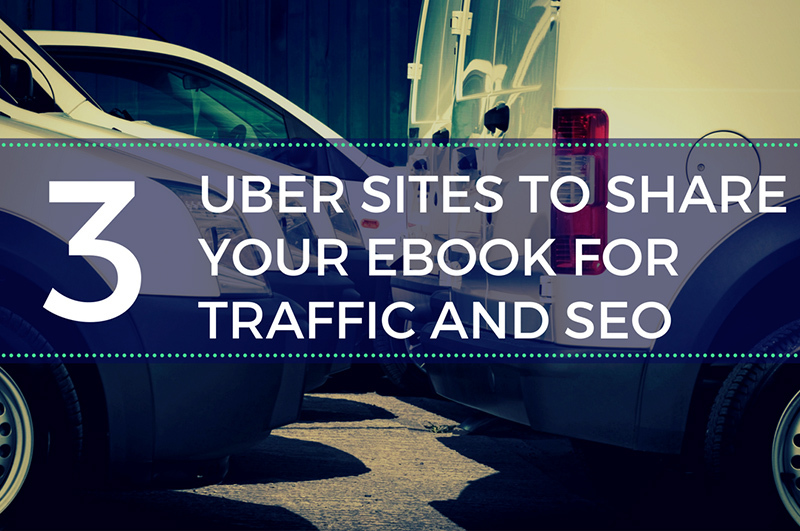 In fact, there are some uber sites you can use to make sure your ebook sees its maximum amount of traffic. 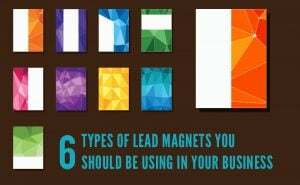 Here are three of the best, recommended by us at Designrr. 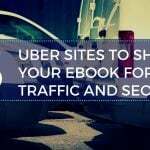 Free Download: Get more traffic by sharing your ebooks on these sites. 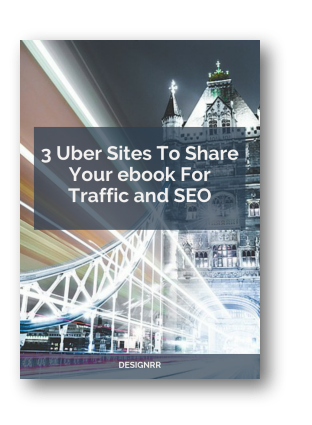 Download your copy of the 3 Uber Sites To Share Your ebook For Traffic and SEO in PDF. 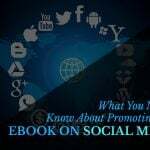 Directly connected with LinkedIn, SlideShare is the perfect way to get your ebook noticed in the professional world. The upload process can be done with one click and a drag-and-drop. From there, you can improve upon what SlideShare calls their “Discoverability Score” to reach the maximum amount of eyeballs. 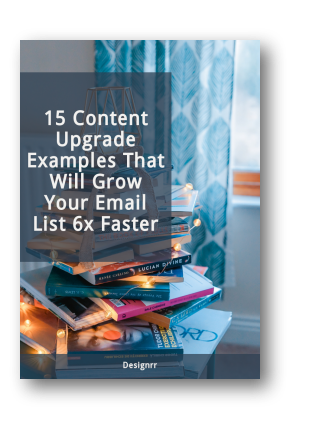 Things that will increase your score include the length of your ebook description, choosing a category, and adding at least five tags your target audience can search for. The SlideShare front page also sorts its best content into sections. Being featured in the “Today’s Top SlideShares”, “Featured SlideShares”, or “Trending in Social Media” sections would be like hitting the jackpot for your ebook. It’s important to understand what’s already working for others on SlideShare before you spend too much time putting together a deck that no one wants to look at. To begin, search SlideShare to see what some of the most popular slide decks look like, and understand which elements you should replicate in your own decks. For example, if you’re trying to get people to participate in an Instagram class you’re promoting, you can search the social media category in SlideShare. If you’re looking for a sleek, high-resolution look to your ebook, Issuu is the way to go. The upload process in Issuu is the same as in SlideShare, but that’s where a lot of the similarities end between the two ebook uber sites. The main difference lies in the “readability” between the two, and Issuu takes the cake there. The uploaded PDFs on Issuu read much more like books, with animated covers opening and pages turning. If your ebook has links in it, which is good practice, you’ll have an advantage in using Issuu there as well. Links are clickable right from the first page in an Issuu ebook, where URLs don’t become live until page 4 for readers on SlideShare. There are free, Premium ($35/month), and Optimum ($269/month) versions of Issuu however, where everything in SlideShare comes free for uploaders. Premium add-ons in Issuu include extra download options for readers, ad-free viewing, scheduled publishing, and extra embed options. The Optimum version is more for a business rather than a one-off ebook publishing. One of the nice things about a free, open sharing ebook platform is the variety of information available to readers. The same thing applies to publishers. Someone with nearly any category of ebook can publish on Issuu and make an impact. Voting matters, but so does access to information, ideas and differing perspectives. A free and open press and publishing ecosystem is at the heart of a thriving democracy. In 2016, we are privileged to have digital access to more content, ideas, videos and information than at any other point in history. So read. Watch. Share. And above all, go deeply into the information that is available. At issuu, we strive to objectively offer access to content that matters most to people, and that can inspire new ideas and passionate thoughtfulness. Because publishers of all stripes rely on issuu to digitally make their content available, we are able to offer conflicting ideas and challenge the reader to use that information to make decisions. Readers can find local magazines that provide a grassroots exploration of issues and examples of what candidates have actually done, bios of each of the RNC’s speakers, a range of views and experiences on and with Hillary Clinton and much, much more. A free and open publishing system feeds our modern society, and we take on the responsibility of supporting it very seriously at issuu. In this election year, we want issuu to be the place you turn to savor ideas and explore what matters, so we’ll be updating our Elections category regularly with content that serves to challenge, inform, inspire and connect. If you’re not totally sure what all those statistics mean, it’s OK. Just know they’re truly impressive, and your ebook can be a cog in the traffic machine. Scribd does cost $8.99 per month, so you’ll have to decide if the opportunity at traffic is worth the price of admission. The upload process is easy enough, and there are plenty of categories to drop your ebook in and find your niche to get people reading. Of course, with a site this big the possibility of your ebook getting lost in the fold is always an option. But if you’re serious about getting your content out there and being read by as many as people as possible, and why wouldn’t you be, Scribd is definitely an option to consider. Once a company becomes as large and successful as Scribd, it will inevitably be compared to other industry giants. Digital Trends has done that for ebooks, pitting Scribd against Kindle Unlimited and Bookmate. It has a number of unique features and comes at a cheaper price than its main competitor, Kindle Unlimited. Scribd also boasts a library of more than 1 million ebooks, audiobooks, comics, and other types of content. The books can be accessed through the attractive and easy-to-use app, though. When you’re looking for a book in Scribd, you can browse based on genre or navigate a curated selection of books. You get 3 ebooks and 1 audiobook per month, but each month Scribd curates a collection of best-selling ebooks and audiobooks that you can access without cutting into your allotment for the month. One thing that truly sets Scribd apart from other services is the fact that it’s not limited to just books. You can also browse a 10,000-piece collection of Marvel comics through the service, as well as documents, court cases, self-published books, and various scientific documents. It also has a fairly expansive library of audiobooks, which are easy to access and listen to. Audiobooks are expensive, so this is perhaps the bets part of the deal when you subscribe to Scribd. As far as the reading experience goes, Scribd offers everything you would expect — you simply need to tap in the correct zone to turn the page, pinch to zoom, and so on. You can also highlight and annotate a particular section of a book, which is great for those studying for a class. Scribd works on iOS and Android devices, but you can’t get its ebooks on ebook readers, unfortunately, which is a major detraction for anyone who wants to read on their Kindle, Kobo, or Nook. No one knows how hard you’ve worked on your ebook more than you do. Now that it’s published, don’t let it fall by the wayside. It’s time to take the plunge toward that next step. Let your experience and expertise be read by as many people as possible with the help of these uber sites. 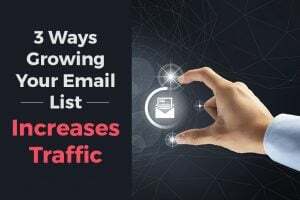 Or check out our article on how to increase traffic with an email list. 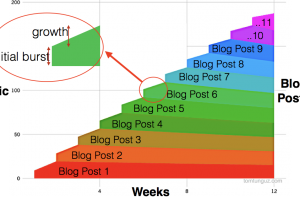 Want to see how to create a content upgrade from this blog post? Watch the step-by-step video training.